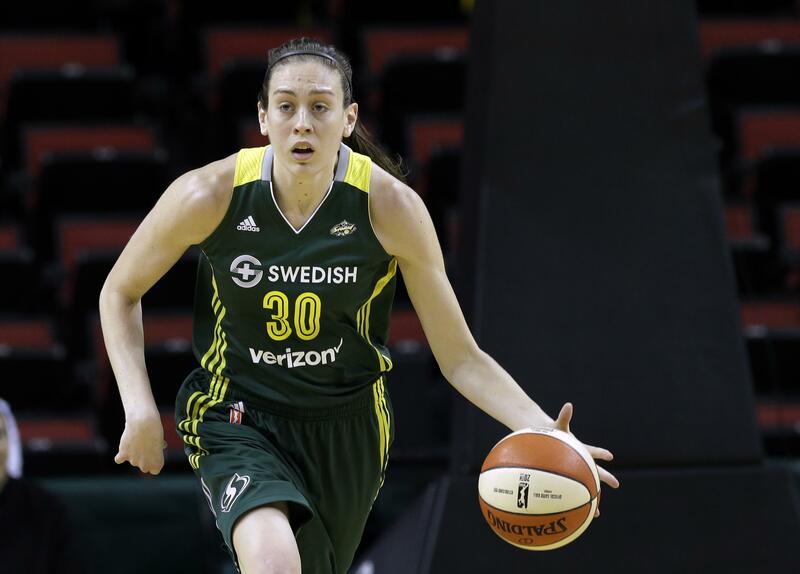 ROSEMONT, Ill. – Breanna Stewart had 19 points, nine rebounds and six assists, Jewell Loyd and Alysha Clark scored 17 points apiece and the Seattle Storm never trailed in a 103-66 victory over the Chicago Sky on Sunday night. Stewart and Sue Bird hit back-to-back 3-pointers during a 10-0 run that gave Seattle a 12-2 lead and Loyd’s putback of a missed layup by Langhorne made it 19-4 with 4:31 left in the first quarter. The Storm led by double figures the rest of the way. Stefanie Dolson led Chicago (11-18) with 10 points. The Sky made just 3 of 16 (18.8 percent) from 3-point range and committed 16 turnovers. Seattle hit 12 3-pointers, shot 52.6 percent from the field and had franchise-record 34 assists on 41 made field goals. Every player on the Storm roster made at least one field goal. Published: Aug. 20, 2017, 6:53 p.m.